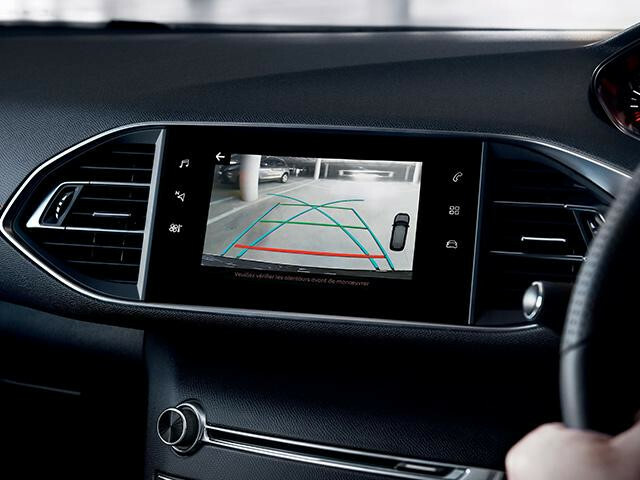 Make every drive more comfortable with enhanced technology and safety features. At Peugeot, sharp design is in our DNA. The Peugeot 308 is no exception, both externally and internally, every detail, no matter the size has been meticulously developed. Displaying the very latest Peugeot design language, the 308 does not fail to make a statement. Featuring a re-profiled front bumper, bonnet and radiator grille, with the latter designed to incorporate the iconic Peugeot Lion. To further complement the enhanced design, an LED lighting signature for the headlights and alloy wheel options are also available. Every journey is a unique experience when you have a panoramic view of the outside. Designed to increase the tranquility and wellbeing of those on-board, this large fixed panel panoramic glass roof* (measuring 1.44m2) bathes the cabin in natural light. An electric roller blind is also included, this blind is able to filter out 95% of exterior light. At Peugeot we have quite literally reinvented the wheel. 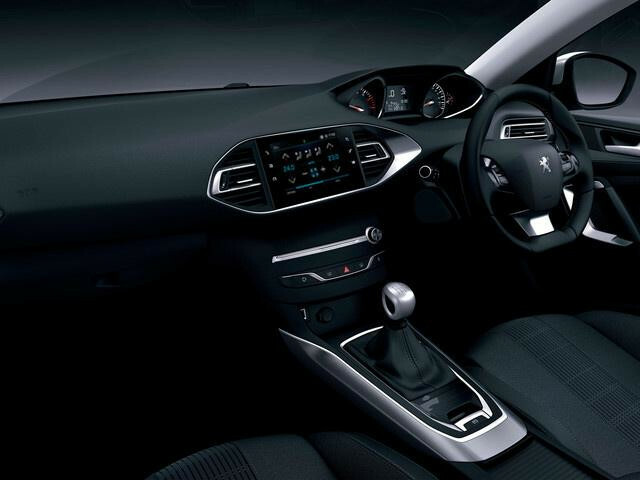 This latest development in car interior architecture, the PEUGEOT i-Cockpit®, features across the Peugeot 308 range. The PEUGEOT i-Cockpit® philosophy centres around a driving environment that puts you in control, allowing a greater connection to the road. Elements key to this are the compact multi-function steering wheel that gives a heightened sense of agility, a head-up instrument panel that places key information closer to the road and the 9.7” capacitive touchscreen with smartphone levels of responsiveness. A camera located on the rear of the vehicle is linked to the 9.7” capacitive colour touchscreen. Offering increased visibility when reversing, you'll never look back. A rear grid offers a clear view of obstructions to the rear of the vehicle coupled with grid lines oriented to the positioning of the steering wheel, offering perspective for distances of one and two metres respectively from the rear bumper. Standard from GT Line onwards. 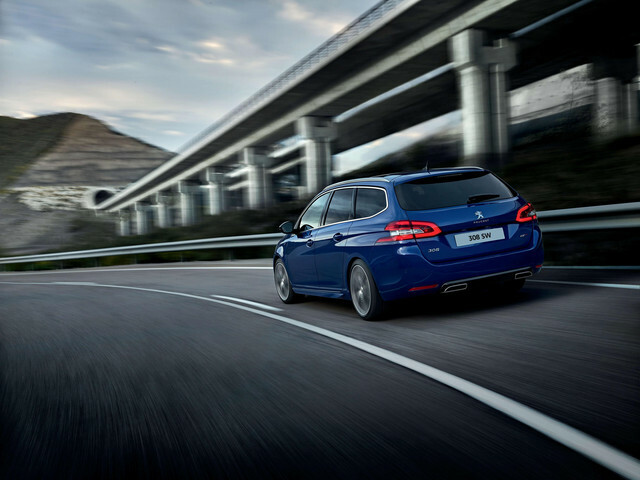 The high-tech technology gives the 308 SW excellent road handling for a perfect driving experience. The suspension and tyres are designed to reflect either BlueHDi or PureTech engines for greater efficiency and optimal comfort. Keep up-to-date with the very latest news on the all-new 3008 SUV, by leaving your details below. Keith Price Garage Ltd take your privacy seriously and will only use your personal information to process your enquiry and provide the services you have requested from us. All finance quotes above exclude a Credit Facility fee of £199 added onto the first payment and an Administration fee of £99 added onto the final payment. Details based on base model. Colour availability might vary dependent on the model variation. ALLURE - Upgrade for additional exterior styling and technological features. Offering style and substance. GT LINE - Step up your style. Assertive sports styling, coupled with efficient Puretech & BlueHDI engine. GT - Stand out from the crowd with the highest spec. Moving the sports theme on even further.